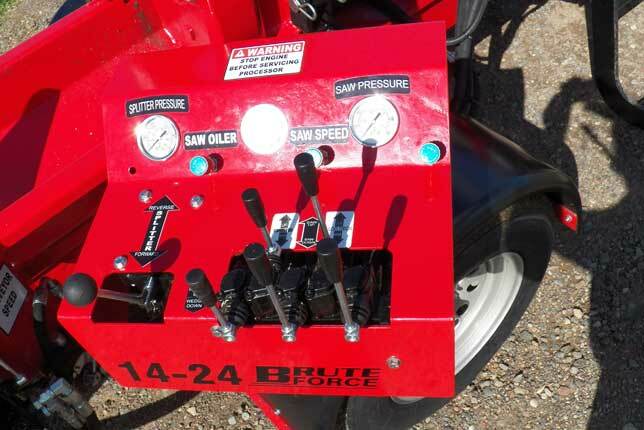 The Brute Force 14-24 is a great value in a small firewood processor. 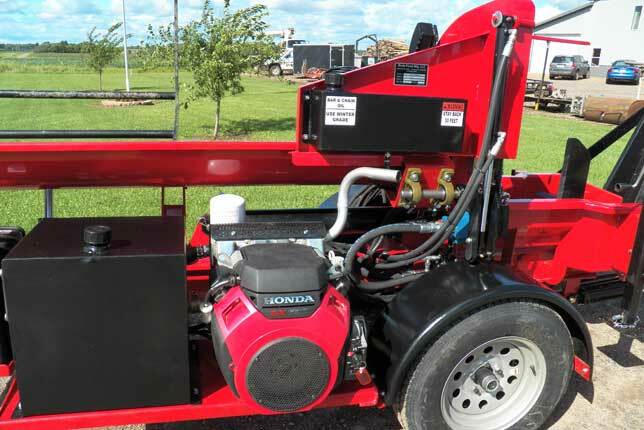 With its standard Honda GX-630 gas engine, the 14-24 is capable of producing from 1 to 1.5 cords per hour & will process up to 16" diameter logs. 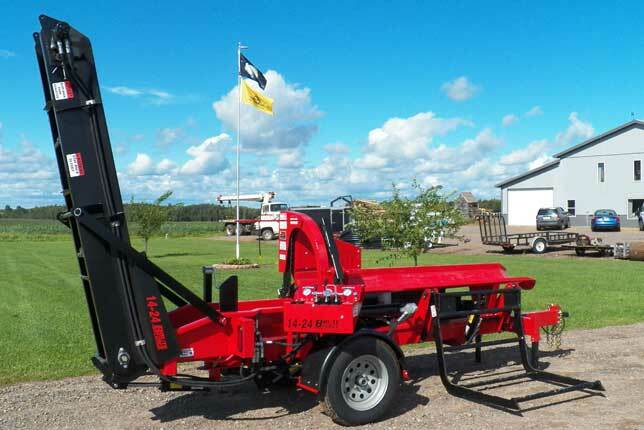 This machine comes standard with a hydraulically operated log lift. 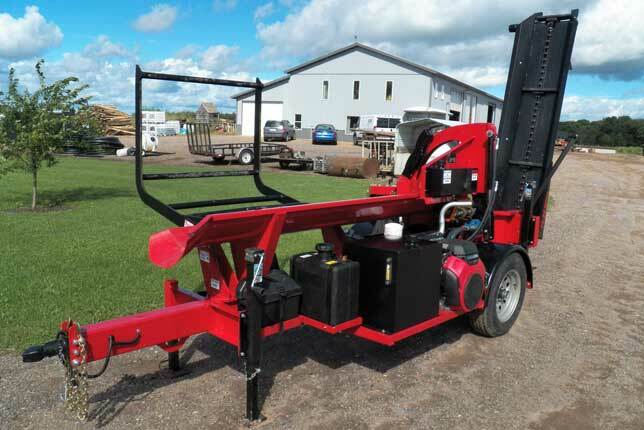 The integrated 8' hydraulic operated chain conveyor, allows you to easily load firewood into a trailer or truck box. 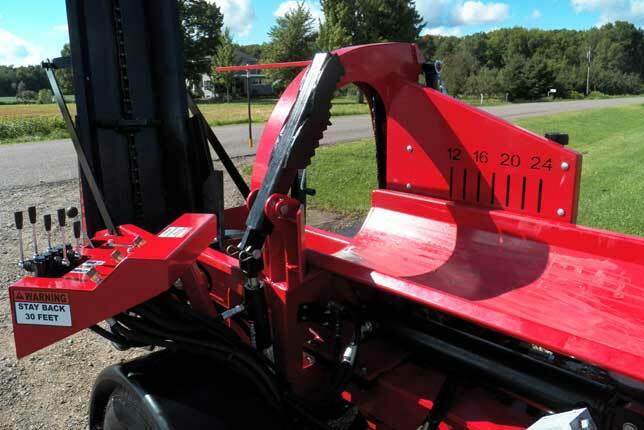 Hydraulic lever type controls operate the hydraulic saw, clamp, log lift. 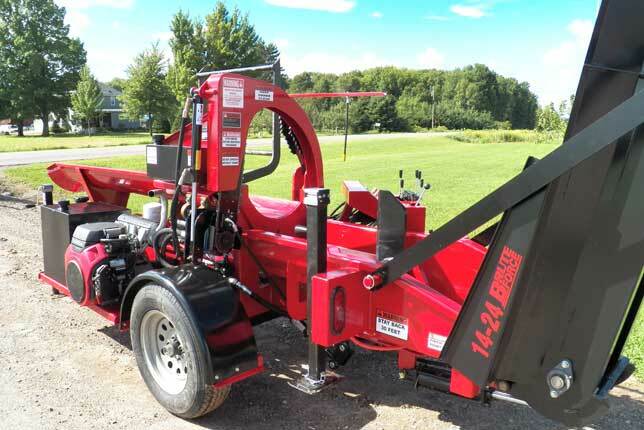 Also comes standard with a hydraulically operated 4 way wedge, electric bar oiler. 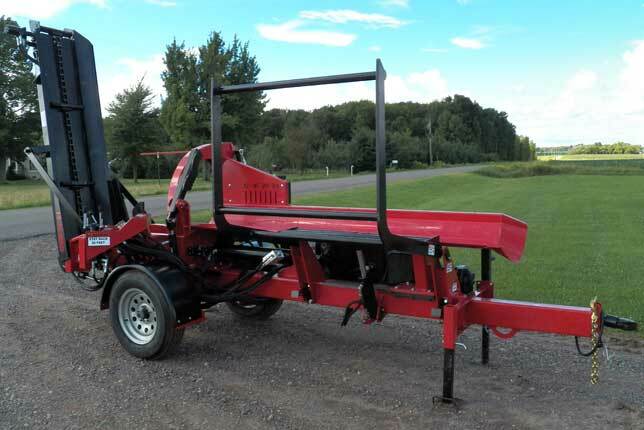 Other standard features include last log measuring grid, integrated tail lights & round log trough for better handling of crooked logs. 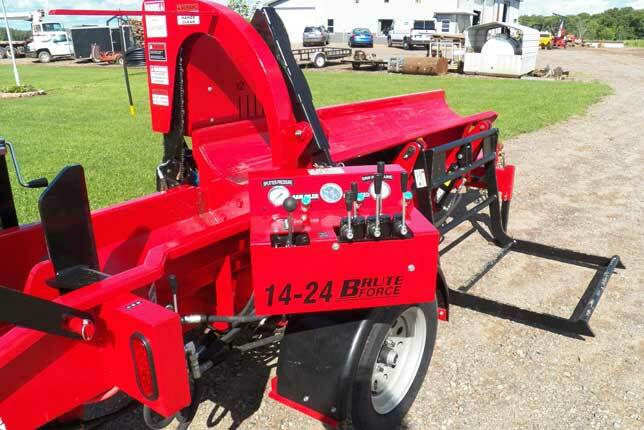 While the 14-24 is the smallest machine in the Brute Force line of processors, it's designed & built to the same standards as our larger machines. All Brute Force firewood processors are built to withstand the rigors of daily firewood production. 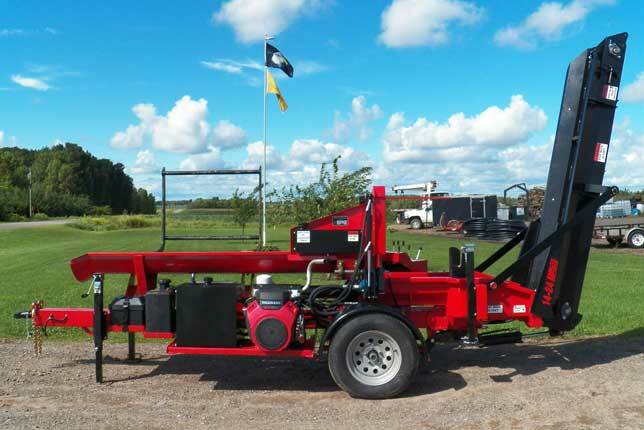 Standard dual purpose deck that can be loaded upright or laid down and loaded by hand.